Build personalized messages in seconds with no help from development or IT teams. 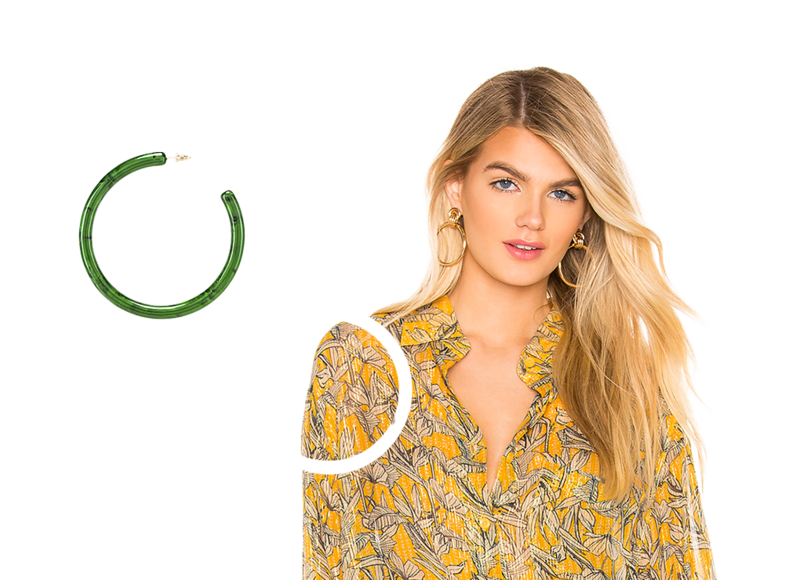 Sculpt is an intuitive,100% native, drag-and-drop message editor that harnesses the power and flexibility of Cordial’s personalization engine. 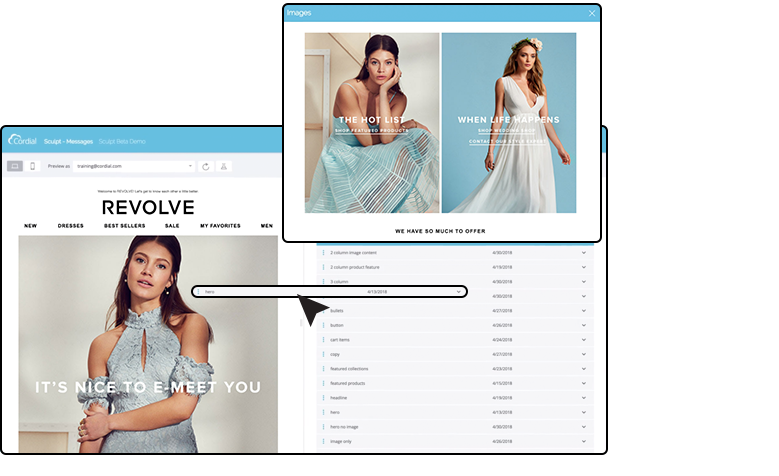 With Sculpt, you can create and save branded, personalized content blocks and build tailored customer experiences in minutes without support from development and IT teams. 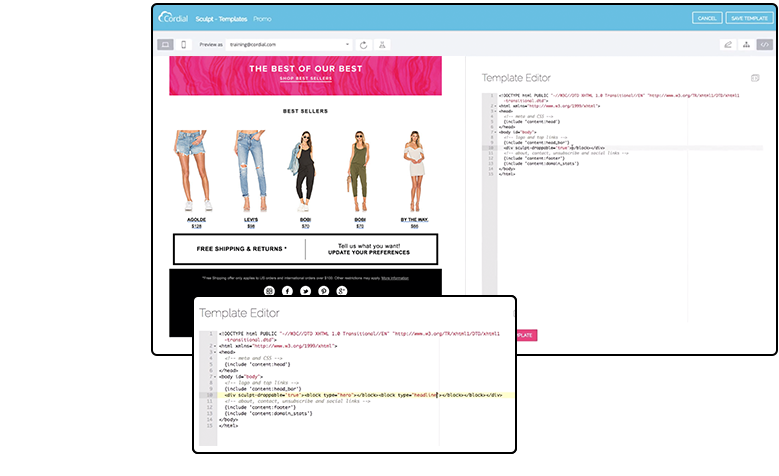 Drag and drop pre-built content blocks from the block library into your message template to create highly customized layouts that match your brand, without ever writing a line of code. Edit and customize your content blocks using simple, intuitive form controls. Update colors with the color picker, change headlines and description text, add images from the image library, and much more. 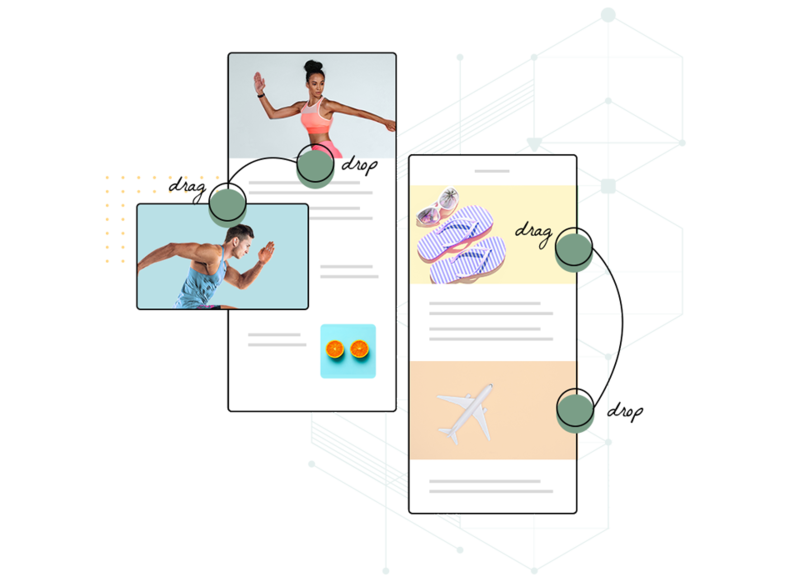 Content blocks created with the Sculpt Editor dynamically pull in content based on real-time customer data so every experience is unique and personalized. Developers can build reusable content blocks with total control over editable elements using variables. Just choose which elements you want to be customizable and add variables within the block markup. Build powerful forms that enable the marketer to customize the content with ease. You can control the section and field names, define the field types, such as text, color, or image library, as well as provide default values, giving you total control over how content is edited during message creation. Create and save templates to be used as a starting point for messages. Templates can contain any of your customizable content blocks as well as non-editable content such as headers and footers, giving you control over which elements of the message can be updated by the marketer. Simplify complex internal processes and operate more efficiently. Increase revenue by bringing more campaigns to market more quickly. Empower marketers and reduce dependency on development and IT resources. Create all messages using one user-friendly drag and drop UI.